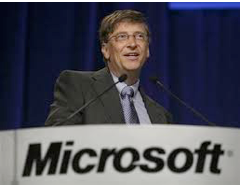 Bill Gates let the cat out of the bag when he simply stated the obvious. He’s well aware that Microsoft uses hundreds of programmers to write and DESIGN the code for their many software programs. He knows the information on your computer screen can be traced back to a programmer/designer. So when Gates looks at the code in a single DNA molecule, he has to admit that it has the same property of “sequence specificity” that characterizes all computer software codes and language. DNA simply functions like a software program. If you took your car apart–every screw, bolt, wires, frame, stitches in the seats, wheels, all the plastic pieces, steering wheel, knobs, gas cap, radio, dash board pieces, the entire motor, etc.– and threw it in a pile in your front yard, how long would it take it to evolve into a finely tuned car? Ridiculously, evolution teaches that something a million times more complex than a car did just that. And there was no pile to start with! The car pieces would have to first evolve separately AND get themselves into a pile. Good grief. Even more astounding, the digital information in DNA is only part of a complex digital information processing system. 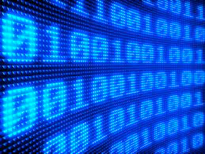 It’s a mind-boggling complex design that uses logic as well as information storage. Logic isn’t random and randomness cannot produce DNA . Where did this designed digital information, logic and the system to process it come from? For scientists to even discuss this brings the feared word “designer.” Even worse, an “intelligent” designer. Secular scientists hate the “design” discussion because to admit design in humans, they admit to a designer. And if there is a master designer of humans… who is He and what does He expect. Antony Flew, a long-time atheistic philosopher, has come to accept the case for design and correctly insists that we must “follow the evidence wherever it leads.” He knows where the evidence leads. But contrary to Flew’s conclusion, there are those who continue to bury their unscientific heads in the sand and insist there is no God. 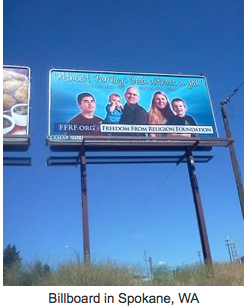 Consider the bunch of ding-a-lings who call themselves the “Freedom From Religion Foundation” (FFRF). They are putting up garbage billboards decrying religion, boldly proclaiming there is no god. These are large billboards being erected across America. They are in-your-face atheists who ignore Biblical warnings and proclaim their foolishness. I find it most interesting that the 18,500 member Madison, Wisconsin based FFRF was founded by an evangelical minister who “just lost the faith.” He claims FFRF is a support group for those who have lost faith and are trying to leave the ministry. Too many Christians are sitting ducks for Satan’s proselytizing. 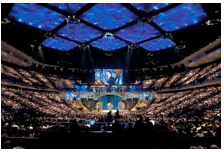 Most mega-churches are a mile wide and a quarter inch deep. With no true word-for-word defense of the Bible, most attending “church-lite” learn no solid answers to give when the Bible’s accuracy is questioned. If we allow the apostasy to continue, we’ll eventually not be able to defend scripture INSIDE our own churches! We can’t sit back and hope for Rapture, we must be proactive and vigorously defend our Bibles. If we don’t do a better job of defending the Bible, we’ll lose our right to defend any of our faith.